Crystal Quartz Merkaba Pendulums with Silver Plated chain from Natural Agate can be bought at a fair price. 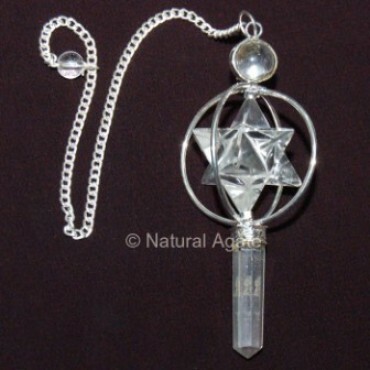 The pendulum will channelize positive energy. This pendulum is 20-50mm in length.